I wanted to like this book so much! 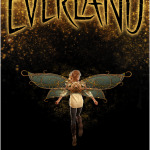 It’s a steampunk retelling of Peter Pan, set in a post-apocalyptic London. The Germans have bombed London to rubble, and due to a virus set free when one of the bombs hit a government lab, a disease has wiped out the adult population–and many of the children, especially girls. When the Germans take her sister, teenaged Gwen Darling searches to get her back. In doing so, she joins forces with Pete, the head of an underground city of orphaned boys. 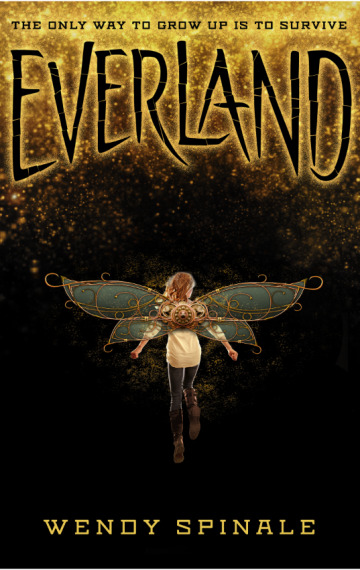 Gwen, Pete, and his handpicked team sent out into London–known now as Everland–to find Gwen’s sister, and, hopefully, a cure. The premise is pretty amazing, and the author integrates characters from the original story in some clever ways. 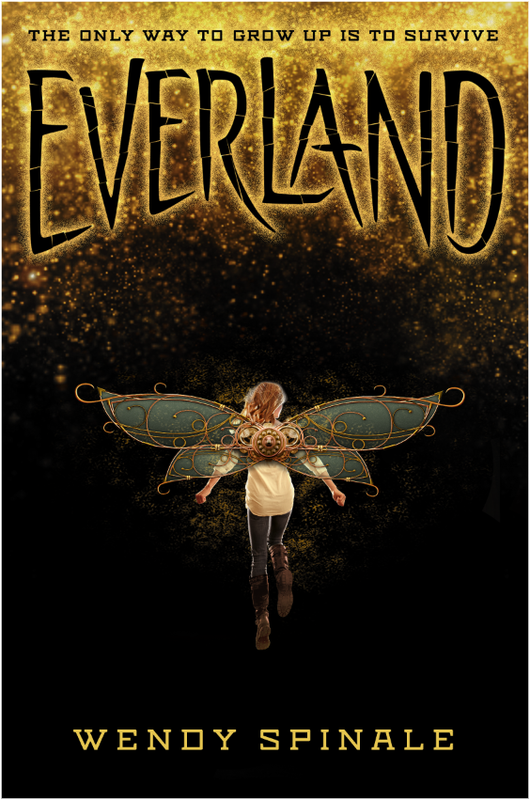 I particularly liked the interpretation of Tinker Bell as a 12 year old named Bella who flies around on a jetpack and mechanical wings, using gold dust to light her way. Because the adults are gone, the story is able to deal with the same issues of growing up the original does–only it’s more interesting and the stakes are much higher. I personally do not like Peter Pan. I think the world is interesting, but I have no patience for the idea of a group of boys who never want to take responsibility for themselves and view girls as mothering figures. Here, the trauma of war and disease forces the older boys to take responsibility for governing themselves and making sure the young boys have something resembling a childhood. There is tension in the notion of teenagers suddenly having to grow up, and the sometimes resistance and confusion of younger children who don’t understand why the teenagers aren’t fun any more. As Gwen’s sister puts it, Gwen is a great sister, but a terrible mother. The book is told in first person, alternating perspectives chapter by chapter–we go from Gwen’s POV to Captain Hook’s (the leader of the Germans in London). Gwen’s chapters are much stronger than Hook’s; a lot of the writing in his chapters feel stilted and kind of cartoony. He thinks directly what he feels far too often, basically eliminating the subtext. I think this approach is to humanize him, but honestly it made his chapters more difficult to get through. I couldn’t really get into this book. It’s fine, but I felt distant from the characters, mostly because of the writing, but also because the characters felt too one-dimensional to feel real to me. They were one note types: the leader; the second-in-command with a bad attitude; the moody preteen girl who’s jealous of an older girl showing up: the younger boys with nicknames that show their function in the society (Pickpocket! Dozer! Doc! Pyro!). I could see where the story was headed, and I kept reading so I could get there sooner and be done with the book. It was a slog for me at times. I also, really, really hate (and this is a spoiler) how the teenage boy with incomplete medical training was able to find a cure in what, two days? Definitely not a week–when the grown woman who worked at the lab that DESIGNED the virus and who had already created a vaccine wasn’t able to find a year after working on it for a year. That was literally all she did for a year. In what seems to be a fully equipped lab. While Doc was working in the sewers/subway tunnels. Granted, she didn’t have access to immune blood, but she was still shocked that he found the cure so quickly. It was a very frustrating, eye-rolling moment. All the women in the book–Gwen, Bella, the Professor–are so motivated by boys/taking care of children, so I really disliked the book completely undermining her career and competency. This is a mild complaint, but I kept trying to figure out what time period the book takes place in, and never could. At first I thought it was WWII England, because of the references to bombing, but this is a totally different Germany with a Queen, and there are no grounding references, so I felt really lost. The only signifying technology is fictional steampunk technology,which is cool, but it also means that the story could take place at any time post-Industrial Revolution. Or even pre? I don’t know when the history in this book diverges from real history. I ended up pretending it was some kind of alternate reality WWII minus Hitler (and minus Germany’s alliance with Japan and Italy, I guess). Without any grounding in history, I don’t know what the point of setting the story in London is, other than homage to the original story and the intended emotional impact of a destroyed London. (Which is now Everland, for reasons nobody ever explains. Why isn’t it called something in German? And why do all the Mauraders, or at least Hook, speak English well enough for the kids to understand them and vice versa? This is a serious issue which makes a twist towards the end pretty nonsensical, unless you assume that somebody is a great actor who does amazing accent work, or that the German royal family speaks in perfect British English.) I really would have enjoyed the story more if it had been set in a fictional world, because all these logistical issues kept driving me crazy. You could use this book in three ways: as an example of alternative history (if you pretend this is some weird WWII alternate); as an example of reinventing/updating a classic story/fairy tale/myth; and as an example of alternating first person narratives. I think an alternative history unit could be really fun, but I would do it with older kids, and with a pretty advanced group. I would worry about kids getting confused, or that the concepts would be too abstract. It’s too new for an AR quiz (this is a recent OwlCrate book, so it was published a few months ago), but I would put it at like…6th grade reading level? Around there. 5th/6th is the lowest age where I would feel confident there’d be enough classwide interest and ability to have it in my classroom library. There’s war and disease and dead parent stuff, but it’s wholly appropriate for middle school.